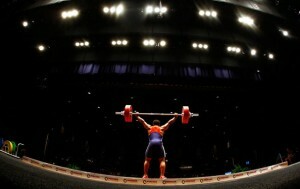 USADA announced today that David Bayer, of Colorado Springs, Colo., an athlete in the sport of weightlifting, has accepted a two and a half year sanction after testing positive for prohibited substances. Bayer, 22, tested positive for clomiphene and GW1516 sulfone, which is a metabolite of GW1516, a Peroxisome Proliferator Activated Receptor δ (PPARδ) agonist, as the result of an out-of-competition urine sample he provided on October 12, 2016. While clomiphene is a Specified Substance and GW1516 is a non-Specified Substance, both substances are in the class of Hormone and Metabolic Modulators on the World Anti-Doping Agency (WADA) Prohibited List and prohibited at all times under the USADA Protocol for Olympic and Paralympic Movement Testing, the United States Olympic Committee National Anti-Doping Policies, and the International Weightlifting Federation Anti-Doping Policy, all of which have adopted the World Anti-Doping Code (the Code) and the WADA Prohibited List. During USADA’s investigation into the case, Bayer immediately admitted to ordering and using prohibited substances, and USADA confirmed that Bayer first used prohibited substances upon the recommendation and guidance of his coach. Due to these circumstances and Bayer’s cooperation with USADA since the start of its investigation, Bayer qualified for a reduced sanction under the Code. Bayer’s period of ineligibility began on October 12, 2016, the date his positive sample was collected. In addition, Bayer has been disqualified from all competitive results obtained on and subsequent to October 16, 2015, the date he began preparing to use prohibited substances, including forfeiture of any medals, points and prizes.